Our favourite bakery - nothing fancy, no trendy flavours, just good honest loaves! Taken first thing this morning when the weather was still dull and grey. Heart warming and good food- what can be better? Wonderful shot! Love your composition! Great looking back street, like the array of little shops. 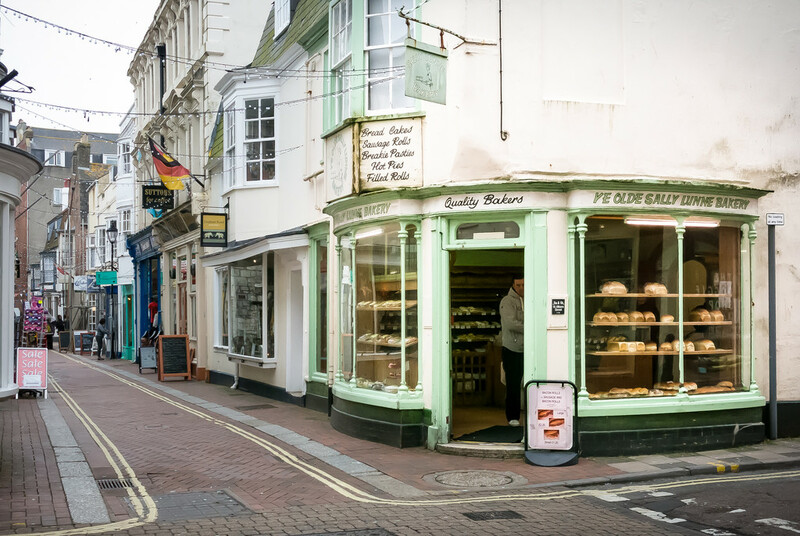 A wonderful shot - you can't beat an 'old fashion' local bakers. Nice! Cheerful on a grey morning! Proper Sally Lunn buns too ? It's such a shame there are not more scenes like this in our towns and villages. Places like this really add to the atmosphere.